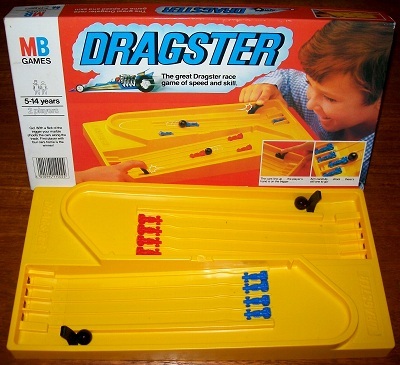 'DRAGSTER' GAME: Create for yourself all the action and excitement of dragster car racing in this fast-moving combination of speed and skill. This game is in complete and excellent condition. The game box is perfectly sound and every playing piece is in immaculate condition. The racing track is likewise in excellent condition without visible fault of any kind.